This site http://news.sina.com.cn/c/2012-06-10/013924565621.shtml points to a June 16 launch date. 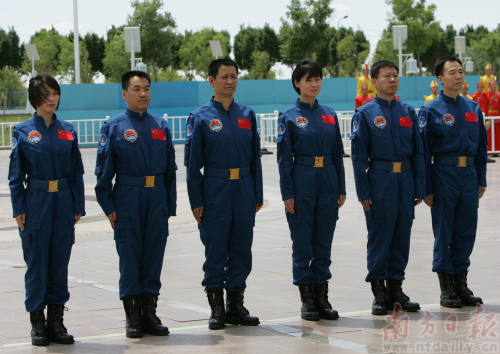 Rumors on 9ifly that the chosen feminine taikonaut is Wang Yaping. This choice is not very strange because Yaping seams to have a Tereshkova's like past. Her family has a rural background. Her parents are peasants that plant cherries and her two sisters still live with their parents. Yaping left home and made a military career becoming cargo plane pilot. Her choice would be a PR and propaganda boost to the Chinese space program. On the other hand, Liu Yang family has some military connections and her choice could make some damage to the program. Realists study the Kalashnikov rifle gun. This message reflects my personal opinion based on open sources of information. CCTV news is reporting tonight that Tiangong-1 has been moved into a lower orbit and that "on June 16 three astronauts, including a woman, will board the Shenzhou-9, blasting off into space". Here are the two crews. I do not recognise the unknown men from previous images. There is no indication of which crew is prime and which is back-up. On 9ifly they have an image of the crew 2 planting a tree, but I don't attach any significance to this, as I imagine they all plant trees. Would someone as senior as Nie Haisheng be asked to serve a backup again? One of the two female astronauts, Liu Yang(L) and Wang Yaping (R), from the Wuhan Flight Unit, will join Shenzhou-9 manned spacecraft docking mission with Tiangong-1 spacecraft in mid-June. They are selected as members of the first batch of female astronauts in China because of their excellent flight skills and psychological quality. The speculation on the other thread was without the photos, and Chen Quan and Liu Wang were just educated guesses. I'm not sure who the two unflown guys pictured today are are. The guy in Nie's crew could be Chen Quan, but I'm not sure. 3. There is a lot of speculation on Chinese and some English forums that Wang Yaping will be the first woman. Many of these posters are claiming their sources as people close to JSLC. 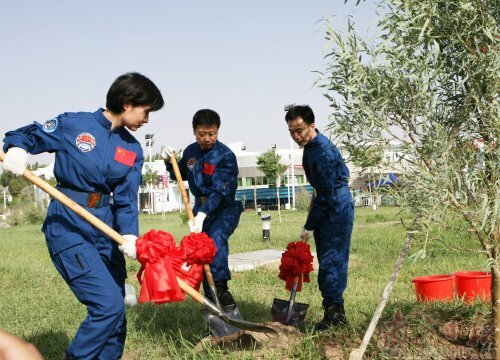 Watching the picture planting trees, the man on the right is Jing Haipen, and watching the haircut of the woman (is short on her ear side) I think isn't the identified as Wang Yaping on the “two crews together” picture. 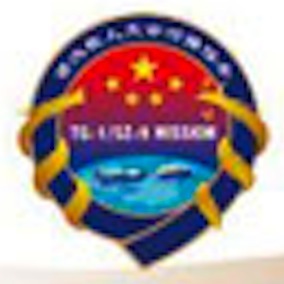 From the 9ifly Chinese space forum, the Shenzhou-9 crew mission patch. From Xinhua, Shenzhou-9 may face thunder, high temps: experts. Has there been any mention of the names of the three taikonauts of the third crew (support crew)? According to an English language report on CCTV, the female crew member will be designated 'Mission Expert', and will undertake an experiment programme on TG-1. It doesn't sound as if they have an active role in flying Shenzhou. This suggests that, although both are Air Force pilots, their accelerated training ( recruitment to launch in two years) results in the capabilty to serve as an MS or SFP, in NASA/Roskosmos language. 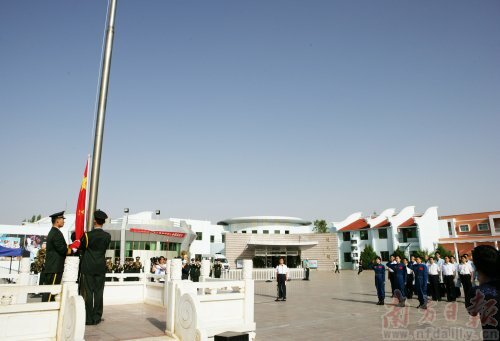 Presumably, this means that, as well as flying a woman for publicity or political purposes, the Chinese will also have demonstrated a capabilty to train and fly engineers, doctors, or other specialists, to TG-2 and TG-3, without taking them out of their mainstream career for many years. Neat! 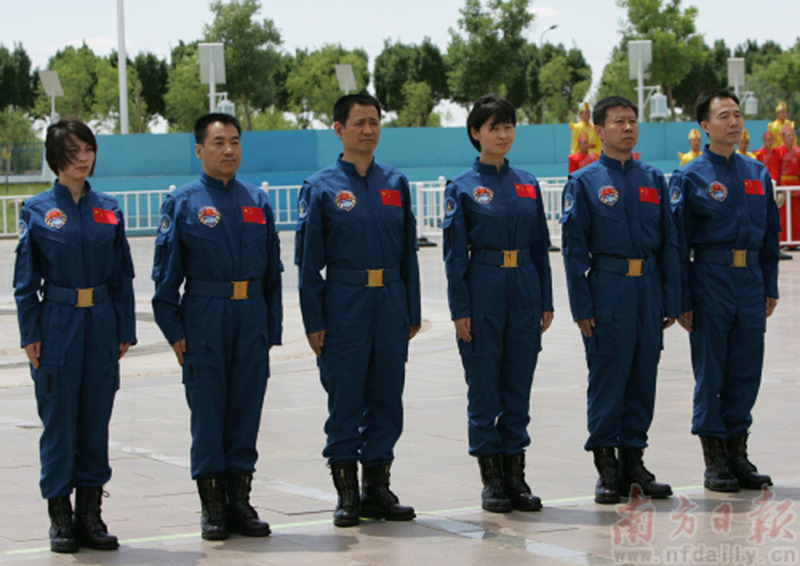 From Xinhua, Shenzhou-9 full-system drill a success: official. news.ifeng.com is saying that SZ-10 Shenzhou-10 can be launched before the end of the year. Nobody knows until they walk over to the pad?